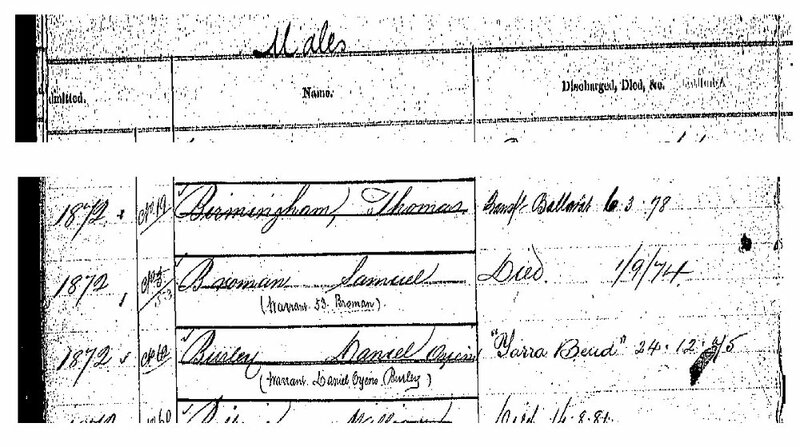 Baptised 23 Aug 1835 at St Luke's Church, Chelsea. 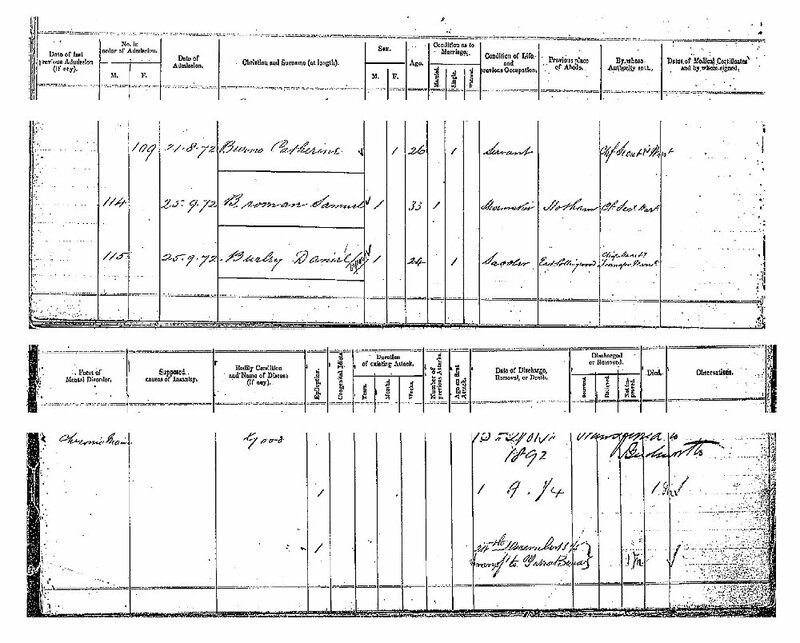 Samuel took an advert in the Melbourne Argus on 16 Oct 1863 to state that he was to no longer be responsible for the debts of his wife Eliza - not clear why. 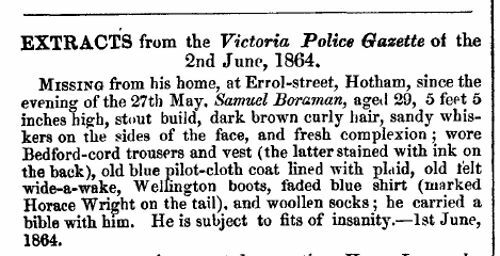 Police reports of 1864 recorded that he had gone missing and was subject to fits of insanity - he was found 10 days later. 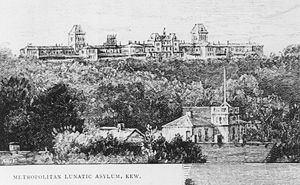 In fact he was not insane but suffered from epilepsy and was eventually admitted into Kew Asylum in 1872 for treatment. He later died there from a fall after having an epileptic fit. 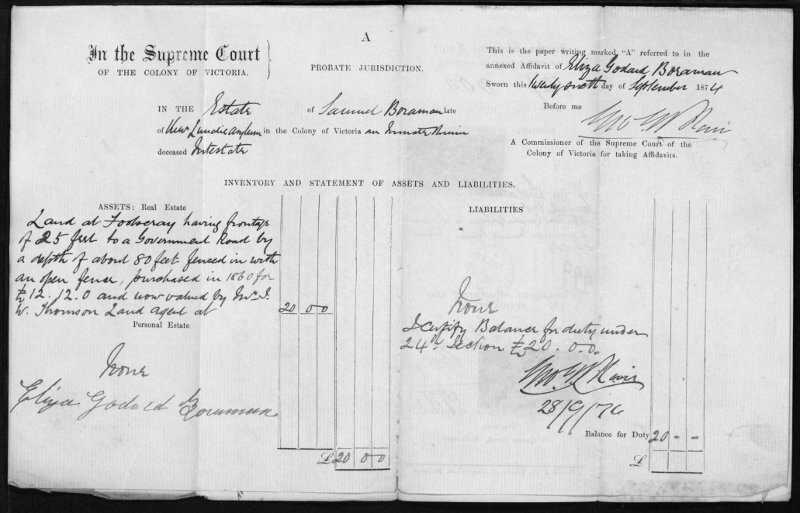 The Melbourne Argus of 11 Sep 1874 recorded that Eliza, Samuel's wife, had applied for letters of administration of his estate as it appears he didn't leave a will. 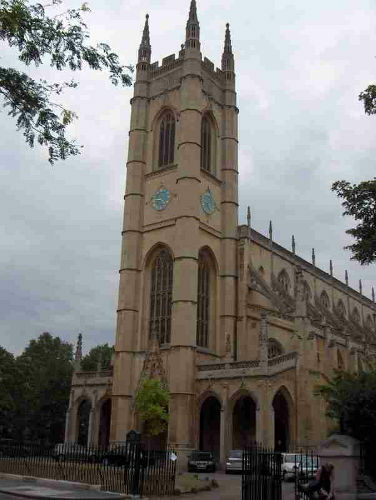 Eliza was granted administration on 28 Sep 1874. 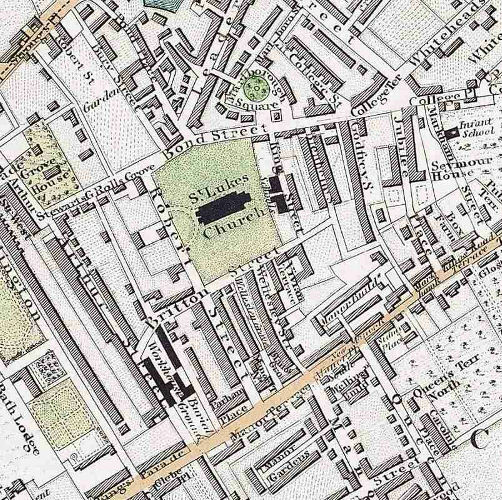 Samuel's assets were assessed as a plot of land near the Plough Hotel in Footscray valued at 20 pounds - if only his descendants still owned it today, it would be worth a fortune! 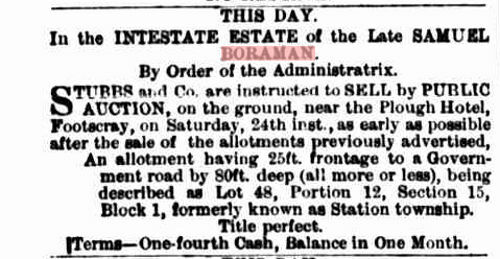 The Melbourne Argos newspaper on 24 Oct 1874 recorded that Samuel died intestate and a sale of land belonging to him was to be made.